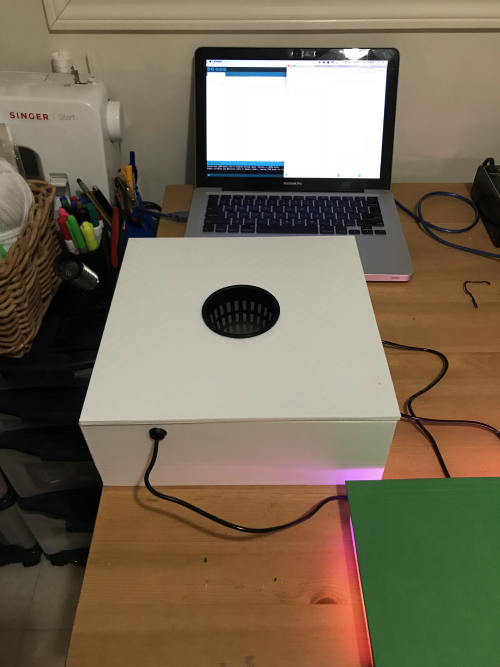 This second installment on Indoor Agriculture focuses on building an Ultrasonic Fogger system which runs on a schedule. Once again, we will use an Arduino Uno to run a relay, and use a Raspberry Pi Zero W to manage cycles via serial connection. Additionally, it deals with creating a CAD model of the machine we’re prototyping. 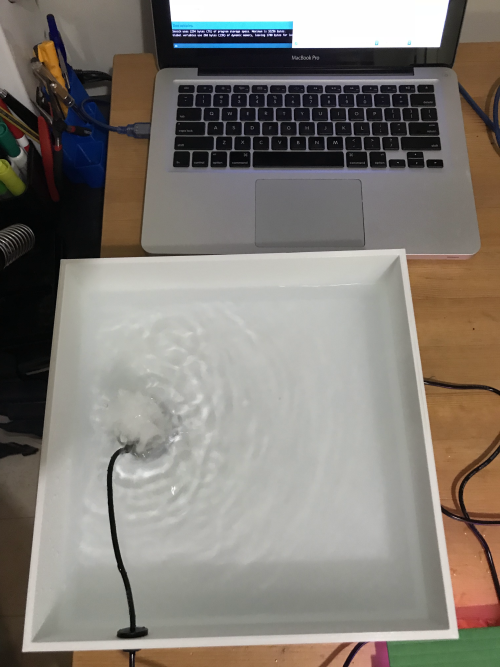 The Ultrasonic Fogger needs to be submerged so we might as well design a nice reservoir. Build the circuit as illustrated by the following diagram. Initially I tried using just the ultrasonic transducer but it turns out that they need to be driven. Who knew? I switched to using a garden decoration fogger which takes an external power source. These can’t be driven 24/7 so we will need to turn it off for a period of time. Good thing we bought a 2-channel relay. NOTE: Don’t run this without having the ultrasonic fogger submerged. Lets take this opportunity to create a CAD model of the machine. We need a way to mount the LED lights, an electronics enclosure, and water reservoir. I took me several iterations create a model which could minimize the cost of 3d printing. I had to minimize surface area and max component dimensions. 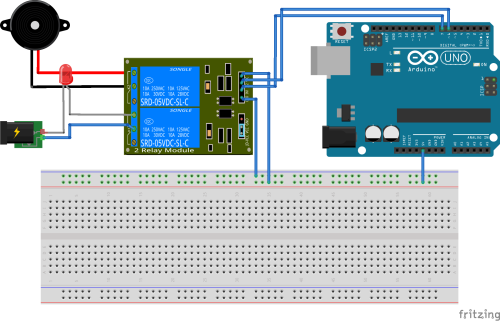 Upload the ultrasonic_fogger.ino program onto the Arduino Uno. Follow the README.md instructions to setup the python software on the Raspberry Pi Zero W.
Configure the ULTRASONIC_FOGGER_ON_MINUTES, ULTRASONIC_FOGGER_OFF_MINUTES, variables in the .env file. Build a ROS system to manage the hardware a high level.